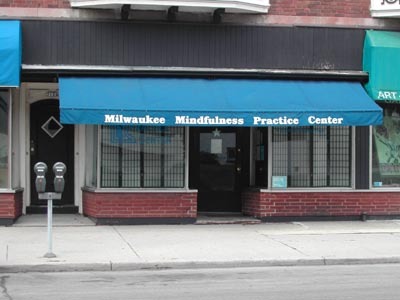 The Mindfulness Community of Milwaukee is a Buddhist sangha that follows the teachings of the Vietnamese Buddhist monk, Thich Nhat Hanh. Thich Nhat Hanh,one of the foremost Buddhist teachers today, led the Buddhist peace movement during the war in Vietnam and is a founder of Engaged Buddhism. He has been in exile in France since 1969 where he has established the monastic community, Plum Village. After Chuck Eigen, Mary Bernau-Eigen, and Paul Norten attended a retreat in Illinois with Thich Nhat Hanh in 1993, they decided to create the Mindfulness Community of Milwaukee. For about five years, the group met in their homes, a local bookstore, and Plymouth Church. 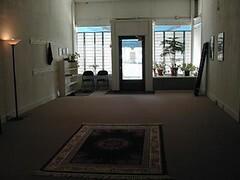 But by November of 1998, they moved to their current, permanent location at the Milwaukee Mindfulness Practice Center near the University of Wisconsin-Milwaukee campus. They also publish a quarterly newsletter and they share their space with the local chapter of the Buddhist Peace Fellowship and local Yoga teachers. 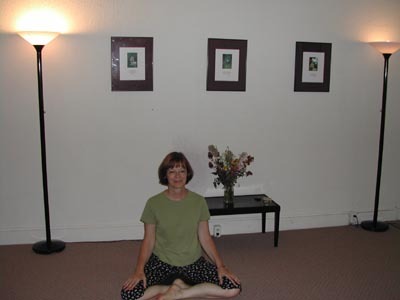 Since the establishment of the Practice Center, their membership has grown dramatically, and about 20-25 people, ranging in age from 20 to 80, attend meditations on a weekly basis. The Mindfulness Community welcomes all who are interested in pursuing a mindful life, regardless of their religious background. Included among its members are atheists, Roman Catholics, Jews, and Muslims, as well as Buddhists. As followers of Engaged Buddhism, the Mindfulness Community of Milwaukee emphasizes the importance of practicing mindfulness throughout everday life, rather than only during meditation periods. In doing so, members believe they can take care of and improve the situation of their lives and their society. For example, one member worked on a city-wide project to help people with low incomes repair and renovate their homes. Some members work in hospices, while one is a pediatrician, and another is a circuit judge. In each of these cases, members utilize their spiritual practice to work for the good of the larger community. 10-12 A.M. — Sitting and walking meditation, readings and discussion. Meditation and Chanting in the tradition of Thich Nhat Hanh. Monthly Potluck for the families of members. 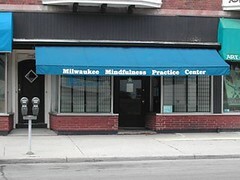 Please visit the Mindfulness Center of Milwaukee ‘s website for up-to-date program and schedule information.